Are you looking for a new print solution that will work for a modern workplace? A solution that will let you get rid of those nasty on-premise print servers? A solution that will make print management more easy and fun? Look no further, you just found one! With Printix solution you will get a serverless, simple, cloud service that integrates with Microsoft or Google which gives you a single sign-on experience. Printix will provide a centralized management portal with support for all USB and network printers, mobile and secure printing, high document security and Print Anywhere at any time. The setup is easy and you will be able to use it almost instantly. Instead of dedicated print servers, you will leverage the Printix Cloud together with the Printix client from a device of your choice (Windows, Mac, Chrome OS, Andriod, iOS). Once you installed the Printix Client it will detect your existing printers on your network and automatically configure these in the Printix Cloud and even upload the current drivers(!). 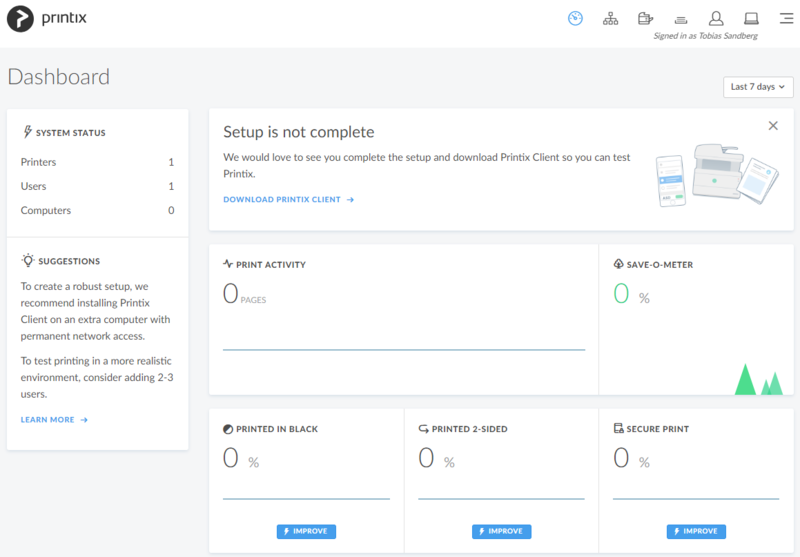 You can also manually add printers from the Printix dashboard if you want. 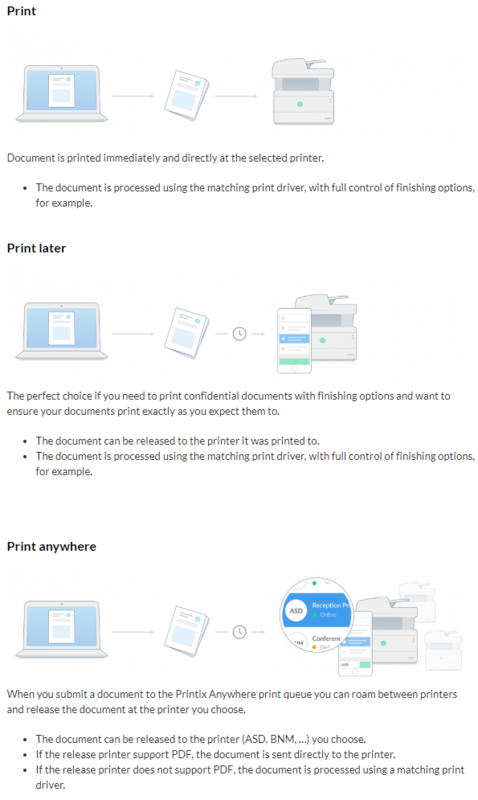 Once your printers are configured in the Printix Cloud you don’t need your on-premise servers anymore since the document will be (re)directed to the printer either directly to the printer on your network or via the Printix Cloud through the installed Printix Clients on your computers. There is a number of ways to print your documents. From the Printix dashboard, which you will be provided, you can configure everything related to your printing environment, like print queues, user settings, network settings, cloud storage, analytics, downloading the Printix client and much more. The license method is per user-based which can be setup on a monthly or annual year subscription. An active user is any user that logged into Printix (client and admin interface) at least once during the monthly billing cycle. Please note that this solution also works with Citrix and RDS environments. Does this sound interesting for your organisation? Maybe you want to try it out and feel how easy it is to setup and get going? If so, please let me know at tobias.sandberg@xenit.se and I will get you a trial right away since Xenit is a partner of Printix. If you have any other questions, feel free to email me at tobias.sandberg@xenit.se or comment down below. I will try to answer you as soon as possible.